Manufacturers Alliance visits Lexington Manufacturing’s Brainerd facility for peer-to-peer networking. We recently hosted 18 colleagues from the Manufacturers Alliance at our facility in Brainerd. For 25 years, the Manufacturers Alliance has facilitated resource sharing by promoting education, training, and networking to local manufacturers at peer-to-peer events. During the meeting, we discussed non-proprietary business processes at our company. It was a great opportunity to receive feedback from our peers in manufacturing and from other industry sectors. 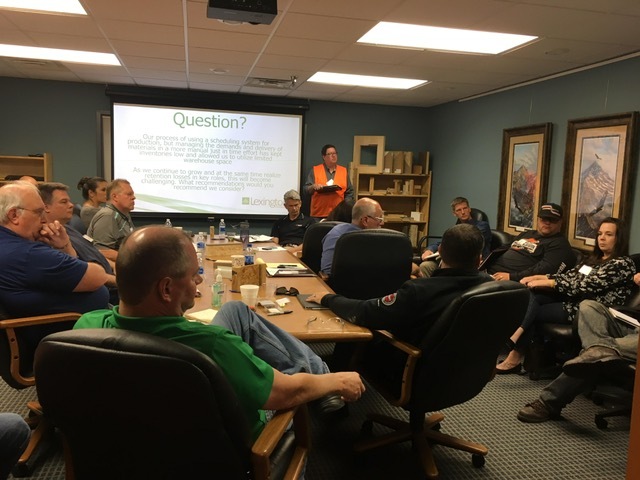 We provided a tour of the Brainerd facility to the group and received many positive comments about our automation capabilities and the speed with which we can respond to each customer’s needs. We were also given helpful feedback about potential improvement opportunities to consider and act upon where applicable. “Manufacturers Alliance would benefit any manufacturer who wants to establish and strengthen peer connections,” said Dillon.